BAE Systems has revealed to Jane’s details of its new Ironclad unmanned ground vehicle (UGV). 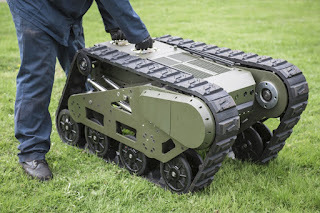 According to the company, the tracked platform is designed to undertake a number of roles, including reconnaissance, casualty evacuation (CASEVAC), area denial, and explosive ordnance disposal (EOD). The system is modular and can accommodate various mission payloads and is fitted with specialist rails in its central payload bay that enable payloads to be easily swapped in and out. A unique feature of the Ironclad is its armoured protected hull, which is made of ARMOX and affords STANAG 4569 level protection against blast and small-arms fire, providing a level of survivability that is not often a concern in UGV designs. “Losing a UGV creates disruption for soldiers by having to deploy another, which takes time [and other resources] … and could possibly result in mission failure. With our research, and after speaking with EOD and army experts, we believe that having protection for the platform ensures that it can withstand a small blast and then carry on with no disruption to the mission. 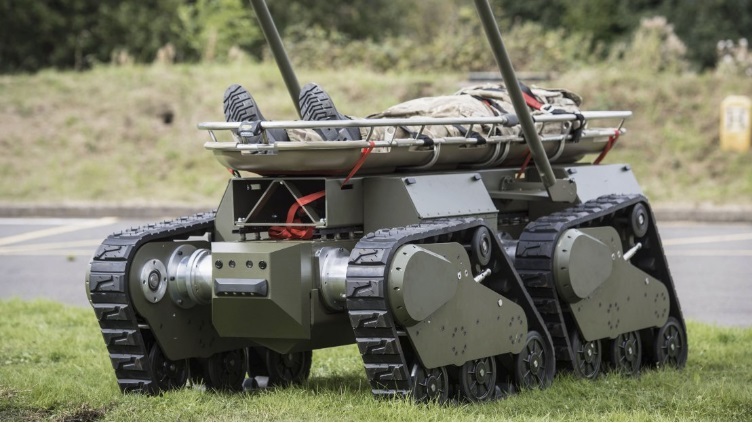 We believe that mission survivability is key and thus incorporated this into our design,” explained Marcus Potter, BAE Systems head of mobility for land systems. Ironclad is currently available in two configurations. The smaller is a twin-tracked platform that weighs 200 kg. This version is able to carry more than its weight with a payload capacity of 250 kg and has a relatively narrow design to make it suited for urban operations and allow it to access small entrances and confined spaces.